In my hallway I have a good ‘ol three way switch this is how I changed it. Just like in my previous entry, you can have switches controlling other switches by creating scenes. So a 3 way switch is basically that. Two switches controlling each other. In 3 way switches you have a primary and secondary, the primary is the one which actually carries the load to the light fixture. The secondary just follows. But you may find the case (like me) where the secondary switch box doesnt have any power, since in traditional switches the power is fed from the primary. 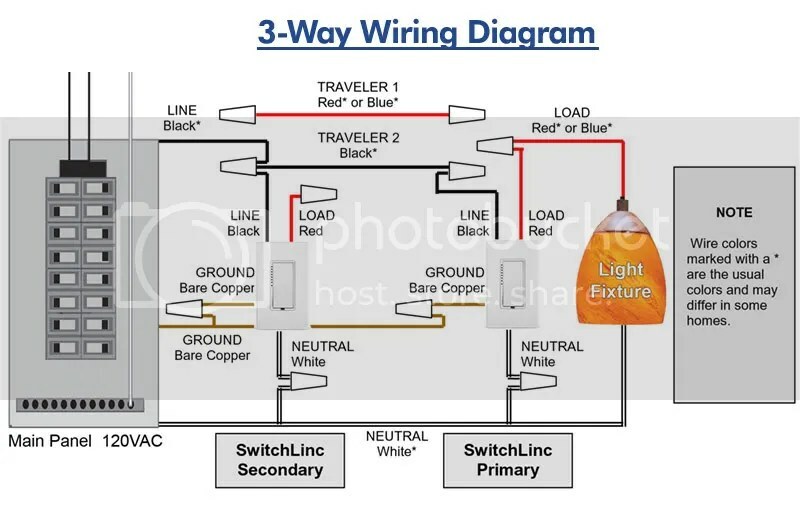 Since there are a two wires connecting the primary to secondary (known as the traveler) we will jump the black wire to the line and use it to power the secondary switch. In my case it was easy to find the traveler wires since 1st it will be in a strand with 2nd traveler and it wont be with the line or neutral. Once setup, and power ‘on’ you link both of them to each other and create a ‘scenes’ and each dimmer switch holds plenty of them, So you can with one switch control all the others (without needing a computer) , but not only turn on how about turn on to a certain level, and even control the ramp rate (Which is how fast the light turns on) – A very neat effect!. And presto you have created your virtual 3 way switch, the response is very fast. And technically you can add more if you like. I cant imagine a 10 way switch. 🙂 but technically you can do it, all this without a dedicated computer. Here is the wiring diagram off the Smarthome page for it. As for reading them in the program I just look for one of them, since eventually both will respond.